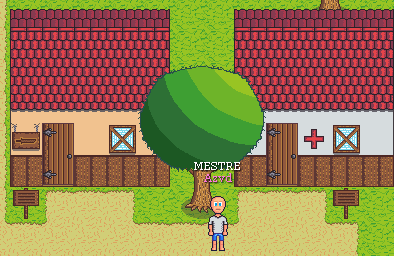 Austeria Online is a 2D Medieval MMORPG in development by me. AO is a old project of mine, the first version of it was released back in 2011 using the EE2.7. Now I’m getting the project back up, creating my own graphics with pixel art. I’m needing another pixel artist, one that can do textures (I’ve got some difficulty with it), a programmer and a designer. You can be more than one, of course. On the beginning, there was only Austeria, a powerful presence in the everything, where everything was nothing, because nothing existed. Austeria questioned herself why was she alone, how was she created, what’s the purpose of all this? and in a blink of an eye, life was created. by happiness when she saw everything she was dreaming of. close to this land”. She wasn’t stupid, at that point she knew that she was magic and with that wish, Austeria was no longer a spiritual presence. through the land that she created, Austeria was the owner of all that. but what’s the point of life if there is no other person to see it?”. And with that, from all parts of the land, people was being formed. People started to grow and Austeria gave them intelligence so they can know how to communicate, protect, build, study and fight. Austeria wasn’t alone, she was finally happy. races, plants, trees, ecosystems, everything so people could live and eat. People created cities, villages, farms, castles and much more. Everything was perfect, Austeria even trained Danthos, an ordinary guy, with the mystic arts so he could help her create, protect and maintain Lor. There was one thing that Austeria didn’t knew. Her powers were incredible but she was created able to control it without a problem, but Danthos weren’t. from knowing his deepest feelings. He had learned spells of creation, attack, block, control, poison and much more, he even created some of those. The Call of Destruction would also give people a whole new feelings: anger and bloodlust. Death didn’t existed, but this spell would create it. Danthos was just waiting for the right time to use it. Austeria gathered everyone from Lor to a huge celebration of the hundred years since the creation. a chair next to Austeria’s throne, was Danthos. He knew that it was the perfect moment to release his master spell: The Call of Destruction. Danthos stood up and started walking to Austeria with a face of evil. People started to see this and tell the goddess that something was wrong with him. feeling the fear for the very first time and then Danthos with a pass of magic, took away everyone voices and petrified them. He yield: “Fool people, you’ve been worshiping this goddess why? She keeps everyone as puppets. Now, Austeria, see my true power! THE CALL OF DESTRUCTION”. other. Austerias’s disciple was laughing at the crowd. Creatures, monsters began to form just like the newly land that the spell created. This land is called Mort. saying: “If you believe in me, if you agree with me, then come to Mort. You know the way, just follow the darkness in your heart”. people started to run to their houses, some others started crying, some were screaming and some following the dark wizard. As a player, you will start at the AD Training Camp (it will soon be explained in the story) and begin your journey as a Quoted. Why Quoted as a class? Well, it’s like an apprentice. You are Quoted for a vacancy in the AD Patrol to battle evil. When you get your certificate of conclusion, you will be able to choose a weapon mastery. You can be more than just a Warrior, Mage, Archer, etc… With this, you will be able to “create your own class” that matches your play style. After that, you are ready to start your journey. If you don’t got your certificate of conclusion, it means that you failed and are no longer Quoted, but a Villager. You will have a chance to become Quoted again by proving your value doing a series of tasks. The AD Patrol doesn’t want a unprepared person to go to battle and die so easily. Are you unsatisfied that you failed? If you want, you can go to Mort and do a series of quests that by the end will make you a Deserter and fight for Danthos. In the game, you will be able to choose, besides the first weapon that you became master, another weapon in Lv50, thus initiating yhe creation of your play style. On the Lv100, you can go after the legendary Meta Weapons and become a master of it as well. These are weapons that you can achieve depending on the mastering mix you chose at the beginning and the Lv50. In adittion to having the required level, you will have to do a huge series of very difficult missions to release a Meta Weapon. In case you get the second mastery a weapon of the same type of your first, you will not be able to get a Meta Weapon, at least for now. Each weapon will provide you with a unique battle style and unique skills. There are three types of weapon: melee, ranged and magic. And we can’t forget about the MW. Contact me if you have any interest on making Austeria with me. On this patch notes we have some nice things. Also the whole equipments will be paperdolled, as you can see in the gif below. This is just a preview, but I have some more already done here. I need to finish tiles for the AD Camp. Already have a scratch in paper showing how I’m building it, but I need tiles and as I said, I’m not good with textures at all. I still need a pixel artist and a programmer to help me, so if anyone wants to join, PM me and we’ll talk. The second patch notes is in the air, haha! I’ll now call it Development Diary. 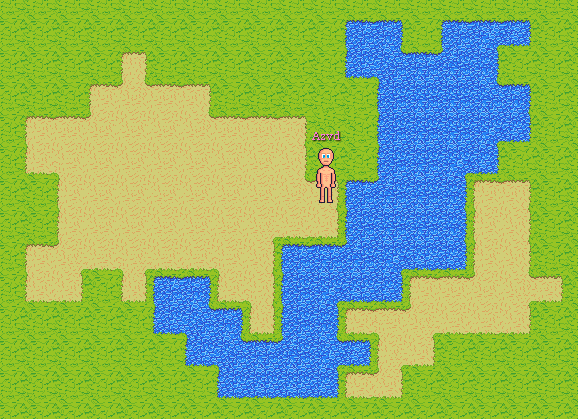 In this, I don’t have many things, I’ll just give you all a preview of how some tiles are looking (just a few xD). Some systems I’m leaving to later, because I believe that make the pixel art of a whole game is more hardwork, so I’m focusing on this, haha. I pixel in a progressive way. Even if I have a great ideia for something really nice to pixel, I don’t do it immediately so I don’t lose the focos on what has to be done, for that matter, I’m doing this way and I’ll call this way as PAP (Progressive Pixel Art). Everytime I write PAP next to a pixel art, you will know that reffers to this, based on the player’s evolution and story. I have the project of the website here on my machine, but I haven’t deployed to a server, I need to find one that supports python. For now, I’m organizing the official game forums. I’m very thankful to this Eclipse Engine community for giving me support on making games and giving me this great way of communication and propagation. I won’t stop posting the updates here, but I’ll also post them on official forums. In the next Development Diary, I’ll post the link to you guys can register if you want to.